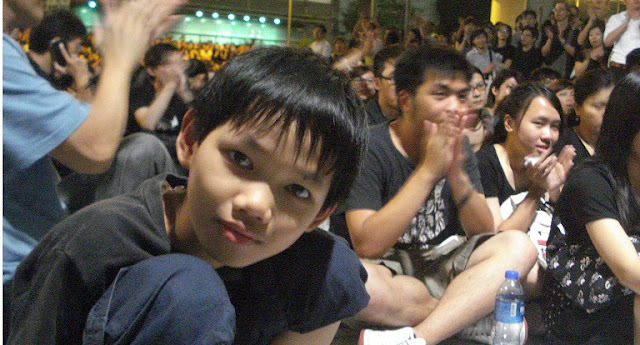 issue in the future and “Scholarism” is only one major event as far as objection goes. ( September 07, 2012, Hong Kong, Sri Lanka Guardian) They are searching for a real meaning of national identity. What we have to achieve. What we have to maintain. Why we have to maintain it. And, who are the people involved in eliminating real freedom in the region? These are the questions through which our people are seeking their own answers to major problems. They won’t accept what others are forcing them to accept. The crisis surrounding education in Hong Kong is a burning issue nowadays. The Hong Kong administrative headquarters is surrounded by what was initially a group of protesting school students, but is something that has grown much larger. A hunger strike has now intensified the demand for withdrawal of the National Education Curriculum introduced by the Government recently. But, the government’s position is still unclear. The newly appointed Chief Executive Leung Chun-ying seems to be thinking of a negotiation with opponents for a win- win solution. The group of students has proved their power of struggle by determinedly opposing and demanding the government to withdraw, without condition, and to let students enjoy the existing education system in the special administrative region of Hong Kong. Their strength has increased day by day and now it has become a mass protest against the government, similar to ‘Occupy Wall Street.’ Thousands of people from every age group are gathering to protect their existing education system. I started walking though the protesters, with the help of my colleague, and few minutes later we reached the place where students and others started the hunger strike. “Our idea is very clear; there is no middle path, our no is no. The Government must withdraw new national education curriculum which is threatening to destroy the identity of Hong Kong,” said Sinchiu Kit, a hunger striker and member of Independent Teachers Union, who graduated in Applied Social Science and is now a university lecturer. 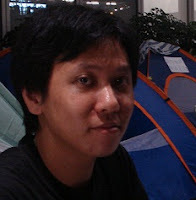 “I was inspired to join this hunger strike, after our Professor Ho collapsed during the hunger strike. What we have to understand is that, we have to refuse bad things, and we have to say no. This is the future of our people, not only us but the next generation too will be heavily cursed because of this,” he observed. “What is the National Identity that they are going to introduce? Is that real meaning of National Identity? National identity is nothing else but to make a space to every person to enjoy their freedom. No one should put people into the cage and force people to accept that as the National Identity,” he expressed these as the reasons for the hunger strike. This is an unusual protest in Hong Kong. Who is behind this? Joshua Wong Chi Fung, a fifteen year old student, started reading every point of the Beijing sponsored National Education Curriculum, and tried to understand what the government really needed. 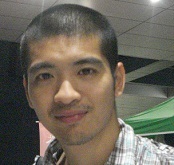 Then he and his fellow students formed a group called “Scholarism”, and started campaigning against the Government’s intention. This young man has inspired many people in the region and his talkative attitude has not allowed anyone to ignore his intentions. Eventually, one would have to stop for a while to listen to him if one encountered his voice even in passing. According to sources here, he started his campaign against the National Education Curriculum, through face book and other social media – these being major tools in Hong Kong, the Asian world city, to spread ideas among the people. It’s a very common medium which everyone can access. Many, living in Hong Kong, have I-pods, and are comfortably using many social networks. “I don’t think the government can just ignore this protest. Yes, they will try to do their best, and they will take as long a time as they can, until they make us tired. But I would say this river of mass will never stop unless the government accepts to do what we are demanding,” a volunteer and newspaper columnist, Fred Lam, told us. Dozens of students were busy cleaning and distributing water bottles and other food items among protesters. Attractive behaviour of such protesters is that, they do not harm any public property and they keep everything in order. Rather than showing their objections in words, they wear black - calling the place where they were holding the protest as the ‘People’s Square.’ Students continue to attend schools, and join the protest after their study. “I’m the one in-charge for hospitality during this protest; we are maintaining order and we won’t make this place messy. What we are doing is that, we are participating in this historical moment to urge people to join us; show our objection against the National Education Curriculum,” Cheng Tsuen-to, a university student said. It was in the news this morning that the Beijing government has considered this issue. A top-level minister from the government spoke and said that the National Education Curriculum must be conducted in every region. The Beijing government appears ready to discuss the content of the curriculum. “The national identity of Hong Kong residents should be emphasized, and Hong Kong's future can in no way be separated from that of the mainland. Attempting to reduce this sense of national identity surely caters to the interests of certain groups in Hong Kong, but brings hazier prospects for Hong Kong citizens,” observed the commentator while discussing pros and cons of the curriculum. Three postgraduate students from Hong Kong University, who come from China (Mainland), discussed this matter in a different way. Karen Chang, Cindy Yang and Lucy Luk are studying for their Masters in Journalism. “This is an unusual protest I ever saw in my life. We don’t have an opportunity do this kind of protest in the mainland. But society is changing, people want to hear the other side of the story as well,” Lucy Luk said. “But to tell you the truth my total assumption is completely different. I don’t think this National Education Curriculum is a danger as these protesters’ seem to imagine. However, it is my personal feeling that many people in Hong Kong are not in favor of accepting that they are part of mainland China. So, in these circumstances there is huge gap of confidence and trust in each other. Many people are not willing to accept distance between black and white,” Luk observed while sharing her personal experiences in Hong Kong. Cindy and Karen also expressed similar understanding while they were seeing this protest as a real democratic process. “This is fairness of freedom. People in Hong Kong have their rights to enjoy and they can oppose what they dislike to see,” Karen said. Ongoing protests in Hong Kong are emerging through many aspects of modern day needs of the people. It looks as if many social changes are occurring in the region 15 years after the handover of Hong Kong to Mainland China by the British. Many in Hong Kong are afraid that they will lose their freedom while the government is engaging in massive propaganda to make out that they are keeping the people happy while asking them to believe in one dream. However, this dispute within the society will remain for a long time, and it will strengthen the ability to protest against government’s policy. Many parts of Hong Kong society are wondering about the Beijing Government’s real motives here. These non-violent protests by Hong Kong’s citizens are showing us their concern about public properties and rights while expressing their objections against the government. The picture of hunger strikers and people at the ‘People Square’ is proving to the region as well as to the world a new wave of dealing with social reforms. This is really what writers like Lu Xun (Zhou Shuren), who is a father of modern Chinese literature, tried to achieve in their generation. “Imagine an iron house without windows, absolutely indestructible, with many people asleep inside who will soon die of suffocation. But you know since they will die in their sleep, they will not feel the pain of death. Now if you cry aloud to wake a few of the lighter sleepers, making those unfortunate few suffer the irrevocable agony of death, do you think you are doing them a favor?” Lu Xun questioned in his Preface of Call to Arms. He pointed out further, “But if a few awake, you can’t say there is no hope of destroying the iron house. True, in spite of my own conviction, I could not blot out hope, for hope lies in the future. I could not use my own evidence to refute his assertion that it might exist. So I agreed to write… (“Preface” to Call to Arms).